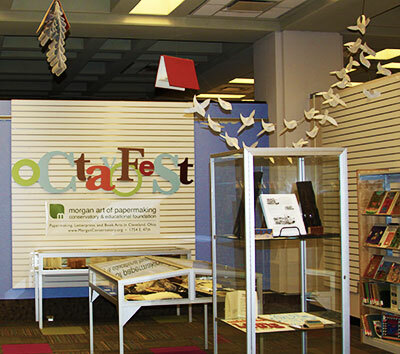 The Michael Schwartz Library at Cleveland State University, Cleveland Public Library, and the Ohio Center for the Book, along with other founding partners Art Books Cleveland and the Morgan Art of Papermaking Conservatory and Educational Foundation, have once again teamed up to present the 6th annual Octavofest, a month-long series of events in October to call attention to the book and paper arts. The Morgan Art of Papermaking Conservatory and Educational Foundation will present three special displays in the Michael Schwartz Library during Octavofest. The displays will present hand papermaking, letterpress, and bookmaking through a collection of objects and ephemera relating to each discipline. October 9, 2014, noon - 1:30 p.m. Celebrate Octavofest at the Cleveland State University Michael Schwartz Library by creating folded book art. Books destined for recycling can be transformed by folding their pages to create voluminous and intriguing shapes. A limited number of books will be available for folding and participants are welcome to bring books to fold. October 14, 2014, 10:30 a.m. - 2: 00 p.m.
LevyFest 2014 is a poetry festival and conference celebrating Cleveland poet, publisher, and artist d.a. levy (1942-1968) and his influence upon small press publishing, print and book arts, and the poetry communities of Cleveland, Ohio, and beyond. Permanent link to this topic. Posted 2014-09-30 07:35:24. Reply to Lauren_Felder. Categories: Library News. Available now through October 23rd, visit the display located on the first floor of the Michael Schwartz Library, featuring artifacts discovered in the area previously known as the Central Market District in downtown Cleveland. From 1991 through 1992 archaeologists from the Cleveland Museum of Natural History (CMNH) along with historians from Cleveland State University explored and excavated an early community located southeast of Public Square in the area known locally as the Central Market District. To most Clevelanders the Central Market District, located in the shadows of the city's great skyline, brings to mind the bustle of busy nightclubs or the aging facades of old Cleveland landmarks. Few if any people would associate this area with archaeology, let alone remember that from 1796 through the 1860's this area was home to one of Cleveland's earliest frontier communities. Many of Cleveland's early immigrants made their way to this close-knit, working class neighborhood of small houses crammed closely together in the area defined by Ontario Street to the west, Prospect Avenue to the north, East Ninth Street (or Erie Street as it was known then) to the east, and Carnegie Avenue (or Ohio Street) to the south. 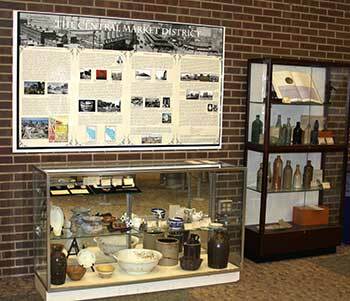 The Central Market District collection, which includes carefully recovered and analyzed fragments of cutlery, furniture, hardware, plates, bowls, cups, and saucers, show how individual families furnished their homes and entertained their guests. In addition, clay, stone, and glass marbles, lead soldiers and parts from ceramic dolls, clay tobacco pipes and musical instrument parts also offer unique and detailed information on the social aspects to the lives of past Clevelander's with regards to city's nineteenth century residential communities. The objective of this summer research project involved the analysis, interpretation, and curation of more than 120,000 prehistoric and historic artifacts recovered from the Central Market District. In order to properly document the transition from a residential community to a commercial area, the crew fully documented, inventoried, and separated all of the historic artifacts by both the date they were manufactured and the areas that they were recovered in with regards to the structures nearby. Processing and analysis were conducted by Anthropology majors Rachel Daley, Katie Fry, and Kyle Riordan in the Department of Anthropology's archaeological curation laboratory and facilities. Artifact processing included the sorting, labeling, and general cataloging of all of the artifactual materials of the Central Market District. The items chosen were then carefully analyzed and researched using research documents, historic libraries, and special collections. Permanent link to this topic. Posted 2014-09-23 09:41:13. Reply to Lauren_Felder. Categories: Library News. Light refreshments will be served at all book discussions. 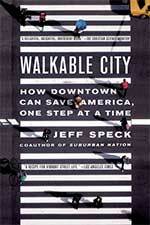 Walkable City: How Downtown Can Save America, One Step at a Time, is by Urbanist Jeff Speck, who dedicated his career to determining what makes cities thrive. And he has boiled it down to one key factor: walkability. Making walkability happen is relatively easy and cheap; seeing exactly what needs to be done is the trick. In this essential new book, Speck reveals the invisible workings of the city, how simple decisions have cascading effects, and how we can all make the right choices for our communities. Discussion leaders: Barbara Walker, Professor, English Dept. and Ann Marie Smeraldi, First Year Experience Librarian, Michael Schwartz Library, CSU. Maya Angelou's memoir, I Know Why the Caged Bird Sings is a book as joyous and painful, as mysterious and memorable, as childhood itself. It captures the longing of lonely children, the brute insult of bigotry, and the wonder of words that can make the world right (Random House.com). Attendees will also have an opportunity to read a passage from their favorite Maya Angelou poem. 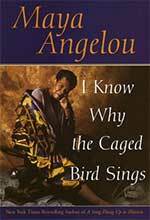 I Know Why the Caged Bird Sings and The Complete Collected Poems of Maya Angelou are available at the Library. Discussion leader: Barbara Strauss, Assistant Director, Discovery Support Services, CSU. 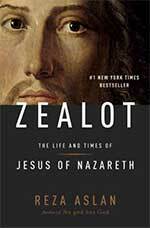 From the internationally bestselling author of No god but God comes a fascinating, provocative, and meticulously researched biography that challenges long-held assumptions about the man we know as Jesus of Nazareth. Sifting through centuries of mythmaking, Reza Aslan sheds new light on one of history's most influential and enigmatic characters by examining Jesus through the lens of the tumultuous era in which he lived. Discussion Leader: Greg Sadlek, Dean, College of Liberal Arts & Social Sciences, CSU. 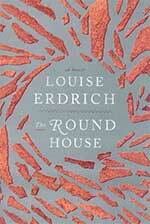 One of the most revered novelists of our time -- a brilliant chronicler of Native-American life -- Louise Erdrich, returns to the territory of her bestselling, Pulitzer Prize finalist The Plague of Doves with The Round House, transporting readers to the Ojibwe reservation in North Dakota. It is an exquisitely told story of a boy on the cusp of manhood who seeks justice and understanding in the wake of a terrible crime that upends and forever transforms his family. Permanent link to this topic. Posted 2014-09-10 07:53:51. Reply to Lauren_Felder. Categories: Library News. 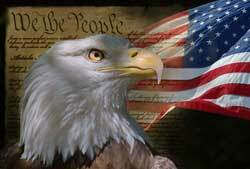 Showing posts from September 2014 only. Display other dates.